Standing watch, by your side. Intelligent security analytics for your entire enterprise. 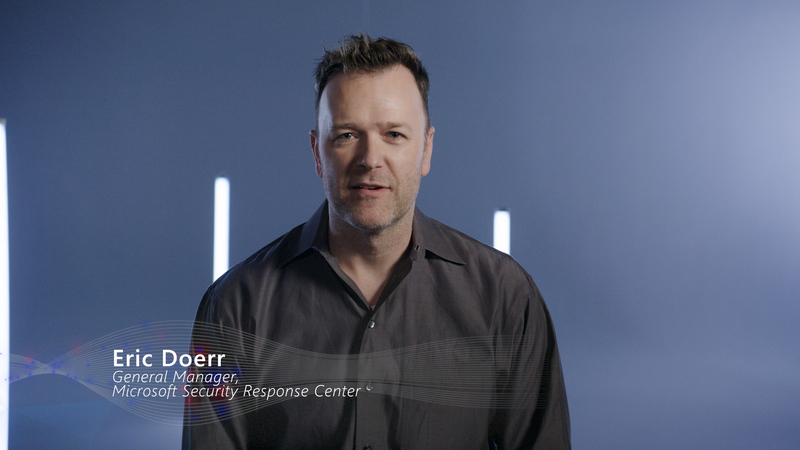 See and stop threats before they cause harm, with SIEM reinvented for a modern world. Azure Sentinel is your bird’s-eye view across the enterprise. Put the cloud and large-scale intelligence from decades of Microsoft security experience to work. Make your threat detection and response smarter and faster with artificial intelligence (AI). Eliminate security infrastructure setup and maintenance, and elastically scale to meet your security needs – while reducing IT costs. Collect data at cloud scale – across all users, devices, applications and infrastructure, both on-premises and in multiple clouds. Detect previously uncovered threats and minimise false positives using analytics and unparalleled threat intelligence from Microsoft. Invest in security, not infrastructure setup and maintenance with first cloud-native SIEM from a major cloud service provider. Never again let a storage limit or a query limit prevent you from protecting your enterprise. Start using Azure Sentinel immediately, automatically scale to meet your organisational needs and only pay for the resources that you need. Focus on finding real threats quickly. Reduce noise from legitimate events with built-in machine learning and knowledge based on analysing trillions of signals daily. Accelerate proactive threat hunting with pre-built queries based on years of security experience. View a prioritised list of alerts, get correlated analysis of thousands of security events within seconds and visualise the entire scope of every attack. Simplify security operations and speed up threat response with integrated automation and orchestration of common tasks and workflows. Connect with data from your Microsoft products in just a few clicks, import Office 365 data for free, and analyse and draw correlations to deepen your intelligence. Connect to and collect data from all your sources including users, applications, servers and devices running on-premises or in any cloud. Integrate with existing tools, whether business applications, other security products or home-grown tools, and use your own machine learning models. Optimise for your needs by bringing your own insights, tailored detections, machine learning models and threat intelligence. There will be no charges specific to Azure Sentinel during the preview. Pricing for Azure Sentinel will be announced in the future and a notice will be provided prior to the end of the preview. Should you choose to continue using Azure Sentinel after the notice period, you will be billed at the applicable rates. Data import from Office 365 is free. You need to be a licensed customer of Office 365 for this data import. Even during preview, additional charges may be incurred related to data ingestion, automation workflows or customisation of machine learning models. Set up your Azure subscription with a free trial. 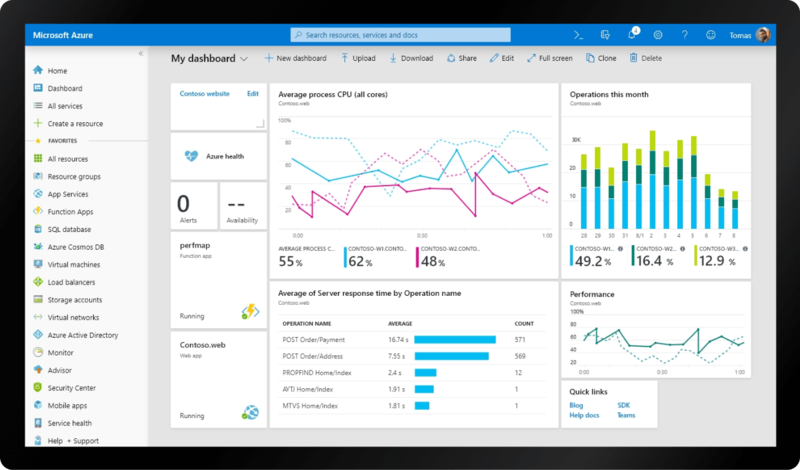 Once you have an Azure subscription, go to the Azure Sentinel preview dashboard. Explore the documentation and quickstarts. Learn how to connect Microsoft services and third-party data sources such as servers, network equipment and security appliances including firewalls. Get instant visualisation and insights across all your connected data sources using the built-in dashboards. Hunt down security threats across your organisation’s logs using powerful search and query tools. Richard Diver, Cloud Security Architect, Cloud and Data Centre Transformation, Insight Enterprises, Inc.
What is Azure Sentinel, and how does it work? 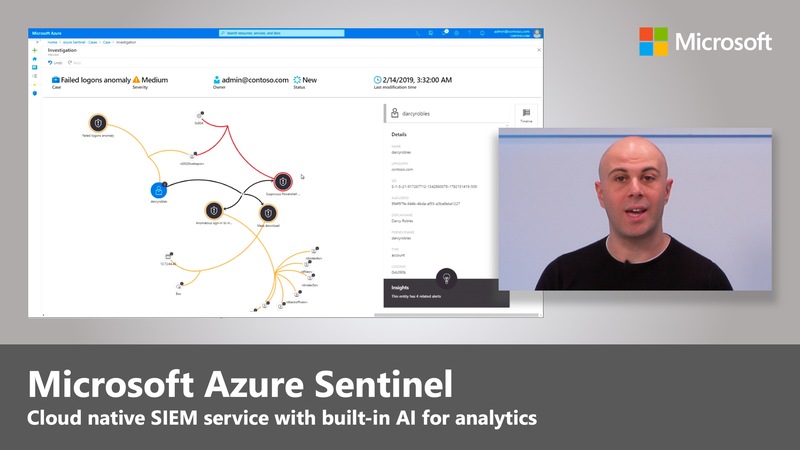 Azure Sentinel is a cloud-native security information and event manager (SIEM) platform that uses built-in AI to help analyse large volumes of data across an enterprise – fast. Azure Sentinel aggregates data from all sources, including users, applications, servers and devices running on-premises or in any cloud, letting you reason over millions of records in a few seconds. It includes built-in connectors for easy onboarding of popular security solutions. Collect data from any source with support for open standard formats such as CEF and Syslog. Do I need an Azure subscription to use this service? Yes, Azure Sentinel is built on the Azure platform. It provides a fully integrated experience in the Azure portal to augment your existing services, such as Azure Security Centre and Azure Machine Learning service. Create your Azure free account to get started. Will this service integrate with my organisation’s existing tools? Azure Sentinel integrates with many enterprise tools, including best-of-breed security products, homegrown tools and other systems such as ServiceNow. It provides an extensible architecture to support custom collectors through REST API and advanced queries. It enables you to bring your own insights, tailored detections, machine learning models and threat intelligence.